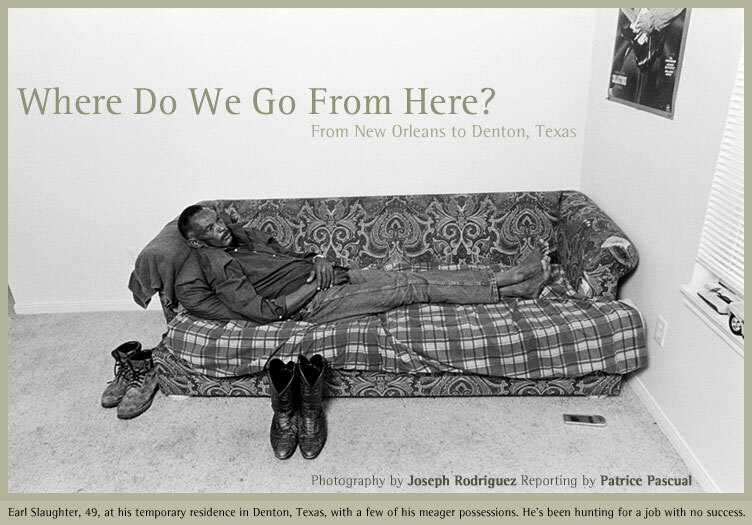 The diaspora set in motion by Hurricane Katrina brought five busloads of traumatized evacuees to Denton, Texas, a city one-third the size of New Orleans and 168 percent more white. Many are still in Denton, trying to navigate a sprawling place that has scant public transportation and little nightlife, with foods and church services so unlike those at home. The evacuees are, for the most part, grateful to Denton. Many residents gave generously to Camp Copass, a Baptist-run facility that hosted 300-plus evacuees for three weeks in September when FEMA refused to cover the camp’s costs. Local volunteers stepped forward to try and find housing and jobs for those being displaced yet again.